Here is The Badger Herald’s list of the top five moments from this semester of UW athletics. Down seven with only minutes left in their Sweet 16 matchup with the Florida Gators, the Wisconsin Badgers refused to panic and came back in nothing short of a miracle. After Bronson Koenig brought them back from the brink to a 3-point deficit with only seconds to go, he pulled up limp and was clearly in no shape to shoot a basketball. 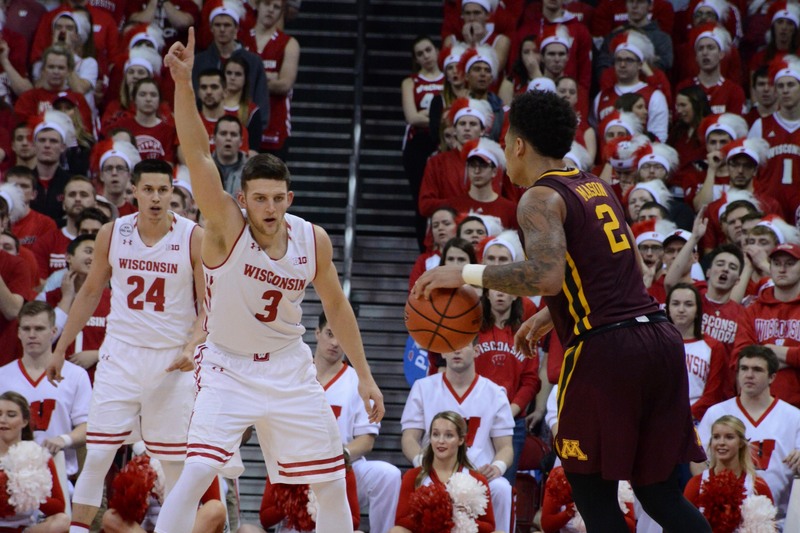 Head coach Greg Gard turned to probably the only other reliable shooter on the team, senior guard Zac Showalter, asking him to do the impossible. Showalter responded with one of the most memorable moments of the 2017 tournament, much like Koenig had done the year before, hitting a three as time expired and turning to Aaron Rodgers in the crowd with the patented “discount-double check”. Despite falling short of her championship dreams, Lauren Carlini achieved nothing short of history this semester, going to her fourth NCAA quarterfinals and winning the prestigious Sullivan Award. 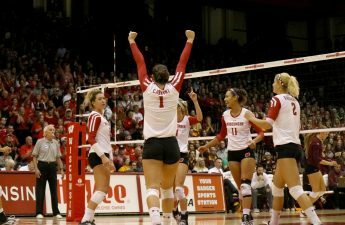 The award is given to the best amateur athlete and Carlini became not only the first Badger, but first volleyball player to ever win it. The only other Wisconsin legend to even be invited to the finalist ceremony was football player and Heisman winner Ron Dayne in 2000. Setting numerous Badger volleyball records, Carlini had an unstoppable career and season in Madison, capping it off in the best way possible. 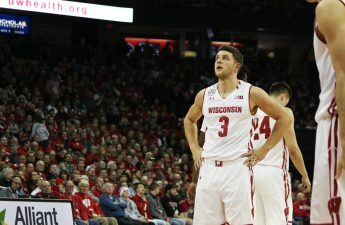 Back to men’s basketball, the Badgers wouldn’t have even reached the Sweet 16 if it hadn’t been for their upset in the first round against the No. 1 overall seed, the Villanova Wildcats. Reminiscent of the team’s historic win over Kentucky in the 2015 Final Four and the Round of 32 win over No. 2 seed Xavier a year ago, the win was nothing short of Wisconsin greatness. 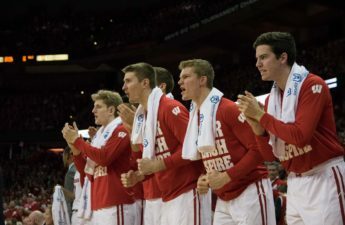 Despite getting put in a tough situation by the NCAA tournament committee, the Badgers made the best of it and almost put themselves in place to make a run at a third straight Final Four. 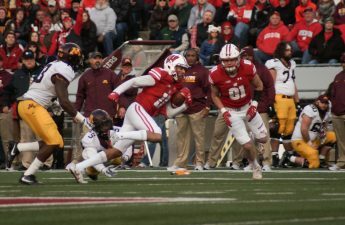 The gritty win against the Wildcats cemented Wisconsin as one of the top teams in the country and was a silver lining in a relatively disappointing end against Florida. Despite an unfortunate collapse in the Big Ten Championship game against Penn State, No. 8 Wisconsin had a chip on their shoulder going into the Cotton Bowl in early January. While most picked Western Michigan to pull the upset on a downtrodden Badger squad, UW went to work like they always do and pulled an impressive, all-around performance to their first New Years Six Bowl win since 2000. Now 2-0 in bowl games in his first two years, head coach Paul Chryst is quickly cementing himself as one of the most consistent coaches in the Big Ten and the country. 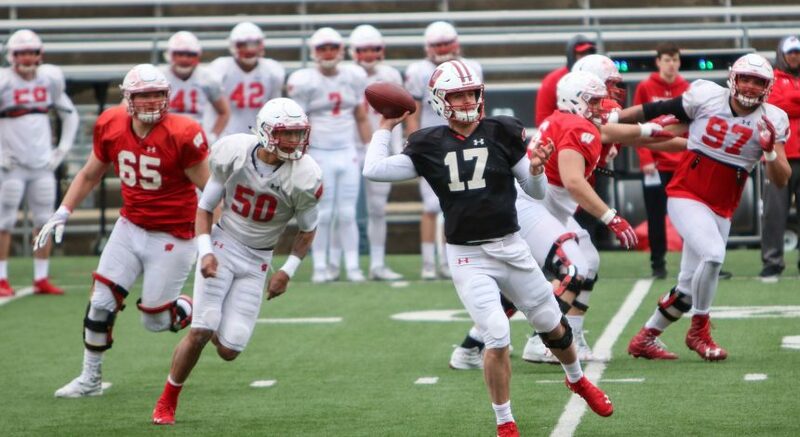 The solid play against Western Michigan proved Chryst’s ability to calm down his team and was a good sign for a growing program going forward. 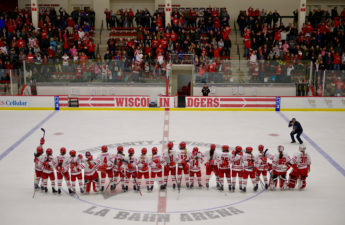 The women’s hockey team would’ve been higher on this list if they had won just one more game to finish off their historic season, but to no avail. The senior-filled Badger squad was No. 1 in the NCAA rankings from week one to the final game, but couldn’t finish off the job against No. 2 Clarkson in the Championship. Despite ending in a tough light, The Championship game had alluded the Badgers for five seasons until this one. Relying on probably the best roster the program has ever had, Wisconsin put up a dominant performance to beat No. 4 Boston College in The Frozen Four and play for their fifth National Championship.